The truth is, men are often known to be more indifferent towards their health when compared to the efforts of women, who proactively and publicly address their health issues. As a result, today the levels of awareness, understanding and funding for men’s health issues, like prostate cancer and men’s mental health, lag significantly behind other causes. Movember aims to change the face of men’s health and reverse this way of thinking by putting a fun twist on a serious issue. Using the moustache as a catalyst, we want to bring about change and give men the opportunity and confidence to talk about their health more openly. 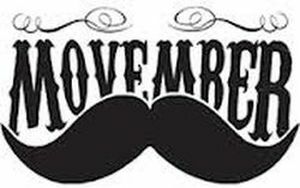 Movember’s primary campaign objective is to raise awareness and funds for men’s health issues, specifically prostate and male mental health. We want everyone to know that most cancers are highly curable if caught in the early stages therefore Movember aims to increase early detection, diagnosis and effective treatment. This will ultimately reduce the number of deaths from cancer.